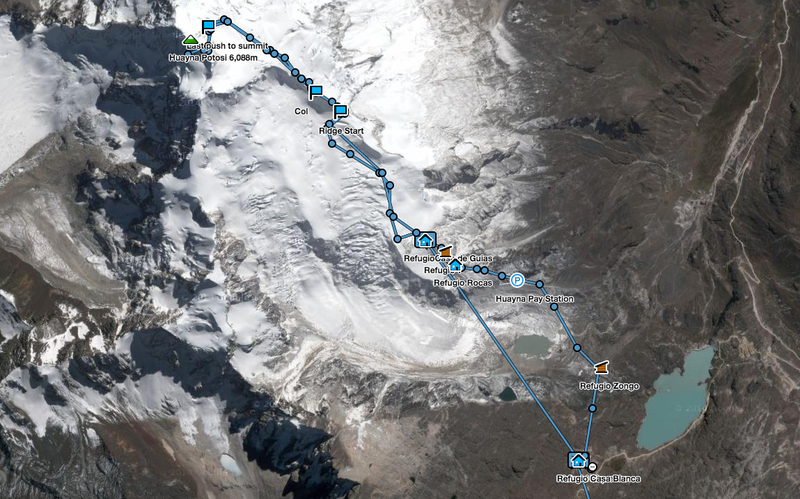 This morning the team left basecamp at 2:40am for their final destination for this section of the trip, Huyana Potosi. Everyone reached the summit around 6:30am! It was quite chilly, so they only spent about 10 minutes on the summit before descending back down. This afternoon will be spent back at basecamp at the Casablanca Refugio where the teams will rest up, warm up, and eat up. Around 2:00pm today they will pack up and head back to La Paz where they will gather for one last celebratory meal together this evening. Everybody is feeling great and very proud of all their hard work leading up to today's big summit day accomplishment. 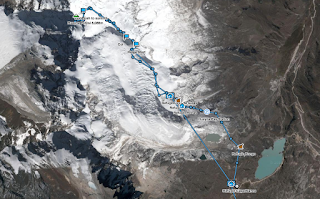 Tim and Greg will continue on to the final 5 day Illimani expedition which will depart with Richard on Wednesday.